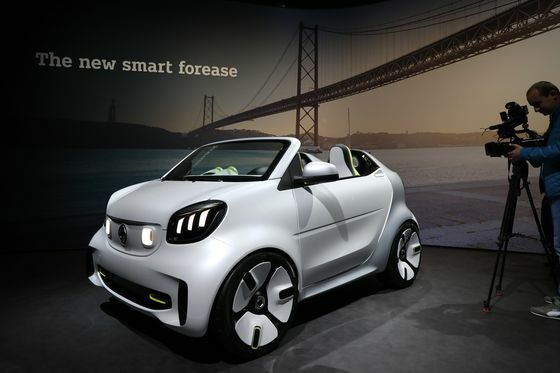 (Bloomberg) -- Since its introduction two decades ago, the diminutive Smart has sat awkwardly alongside the imposing, autobahn-eating cars that have made Daimler AG the king of the road. From its inception, the Smart was a bold bet for Daimler that pushed the carmaker out of its comfort zone of big, reliable sedans with no-nonsense styling. Originally conceived in partnership with Swiss watch company Swatch Group AG, the bulbous two-seater was aimed at young city dwellers seeking an alternative to two tons of hulking metal to get around town. But the car never caught on to the extent that Daimler had envisioned, particularly outside Europe in markets like the U.S., where gas-guzzling pick-up trucks and sports utility vehicles have maintained their insurmountable allure. Daimler introduced Smart in Germany in 1998 and brought it to the U.S. 10 years later, but the brand never met an original global target of 200,000 deliveries a year. Part of the problem: Smart struggled to define and occupy a distinct niche. For a utilitarian urban commuter car, it was too expensive; for a family vehicle, it was too small. Given the relatively low output, production in Europe was too costly. And there were alternatives like the Fiat 500, the Toyota Aygo or BMW AG’s Mini, which -- while more expensive -- offered a more compelling package in retro wrapping. Despite mounting losses, Daimler pushed on. The Smart became something of a modular experiment kit for a company known for its exacting approach to car manufacturing. Daimler introduced a four-door version that was based on a Mitsubishi Motors Corp. platform, and a roadster that was as daring in design as it was short-lived in the market. An SUV never came to fruition, and the original concept of making the brand electric took years to put into action. Overall, the Smart brand didn’t prove elastic enough to accommodate the stable of urban commuter vehicles the company had originally envisioned. When Daimler came out with the second generation of Smart cars about five years ago -- this time with Renault SA and its Twingo model as a partner -- some analysts even then called it the last chance to get the brand right. 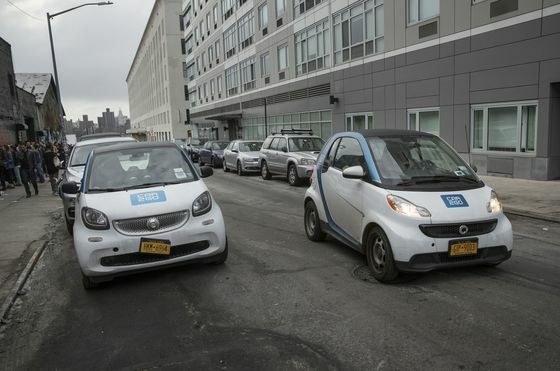 Daimler aggressively pushed the cars into its Car2Go car-sharing service, and the vehicles remain popular with urban professionals like delivery services or doctors visiting homes in congestion-plagued cities like Rome or Berlin. Even so, Smart car sales have dropped in each of the last four months, to about 7,854 cars in February. That’s a fraction of the 160,500 Mercedes-Benz cars sold in the same period. All told, Smart has racked up about 4 billion euros ($4.6 billion) in losses, Bankhaus Metzler estimates. Daimler Chief Executive Officer Dieter Zetsche maintains that given the 2.2 million Smarts in the street around the world, the brand “represents a pioneer in urban mobility,” according to a release on Thursday. Smart’s main contribution to Daimler has been to help offset the emissions of high-margin gas guzzlers like the S-Class sedan and AMG GT sports car. The boxy G-Class offroader produces nearly three times the carbon dioxide as the Smart ForTwo, meaning sales of the petite model provide an important contribution to meeting rules on fleet-wide emissions. In its latest reboot less than a year ago, Daimler switched top management at Smart and outright abandoned combustion engines for electric models starting in 2020. Now Smart is trying its luck once more with a new push, this time in China, where it says it will also bring out models for bigger car segments. Daimler can count on Geely’s help to establish a stronger foothold in Asia. 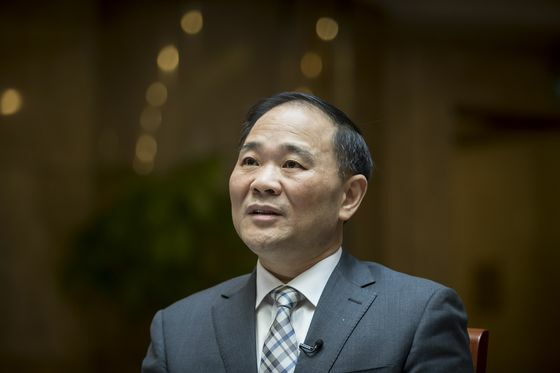 Geely Chairman Li Shu Fu bought a $9 billion stake in Daimler last year, and the companies have already joined forces to start ride-hailing and car-sharing services in China to take on market leader Didi Chuxing. Geely has established a something of surprise track record of turning around brands. Volvo Cars, which the Chinese company acquired from Ford Motor Co. in 2010, has enjoyed a revival under its new owner. Pieper, the Bankhaus Metzler analyst, said Smart stands a good chance to benefit in the same way because Geely understands the local needs of the market.